To use, you need to apply a 5p size amount (for short hair, more if your hair is longer) to damp or dry hair and continue to use your hair dryer or straighteners as normal. As it is watery, you may need to rub it into the hands slightly first and then apply from your hands to your hair. It does leave your hands greasy, so they will likely need a wash after application. My sister’s hair type is very dry and afro-caribbean and she thinks that the ORS Olive Oil Heat Protection Serum is fantastic. Once applied to the hair and dried, her hair is left soft, smooth and super straight. There are some reviews on the Boots product page that state that the hair is left greasy and weighed down, but my sisters hair isn’t affected by either of these issues. Therefore, this could be down to the hair type. If your hair is really dry and tends to go very bushy when dried without any product or left to dry naturally, then you may find this product to be really suitable. 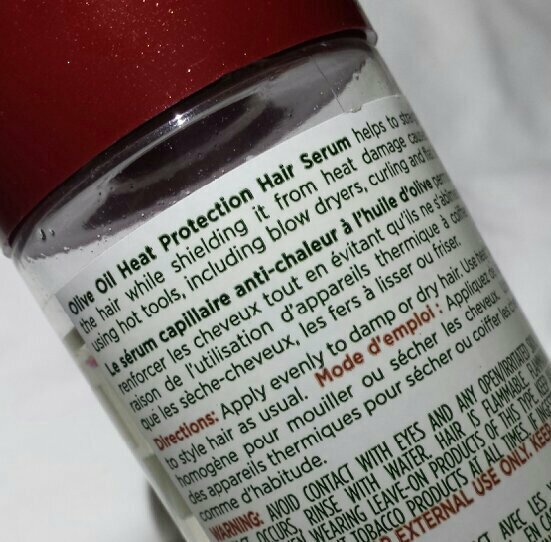 “The best thing about the ORS Olive Oil Heat Protection Serum is the fact that my hair stays straight for days. I don’t need to wash it daily, so after one use of the oil every few days to help straighten it, my hair will stay looking great until I next need to wash it,” my sister says. "The downfall for me though is that if I go out on a windy day, my hair seems to bush up more than it would without the use of the oil. It’s not the end of the world though as all it takes is just a re-straighten and my hair is back to normal again! “Straightening is also quicker for me. Usually it would take me around twenty minutes to blow-dry my hair and then another forty-five to straighten it! As a mum, it can be a total nightmare because I simply don’t have that time any more. With the use of this oil now, my hair is almost straight just from blow-drying and the time it takes to straighten my hair completely is now reduced to ten minutes." Even though it is oil based, it is still easy to wash out with your regular shampoo. 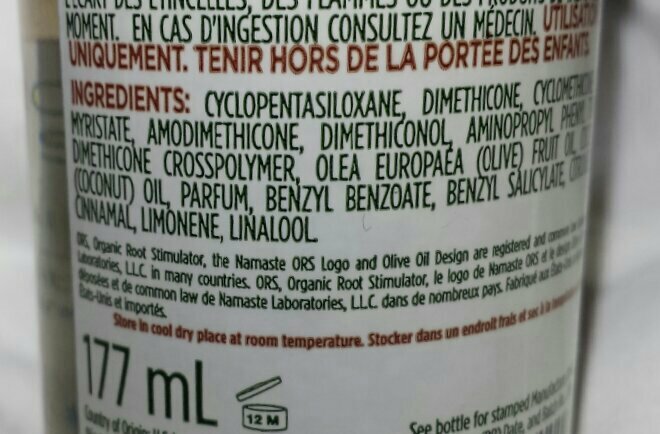 However, it is probably the type of product that you should avoid if you are "no-poo" as it could be difficult to remove. As you barely need to use any of the serum each use, one bottle can last an incredibly long time. If, like my sister, you only need to wash your hair every few days, it can last you even longer. This means that it is brilliant value for money as a full bottle only sets you back £4.39! You can purchase a full-size bottle of ORS Olive Oil Heat Protection Serum for £4.39 from Boots. 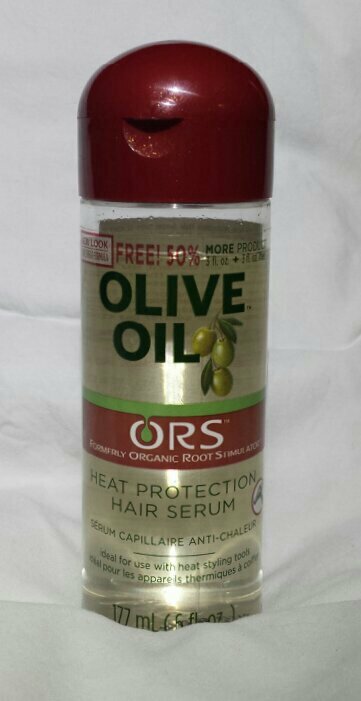 Have you ever used ORS Olive Oil Heat Protection Serum? What are your thoughts on it?